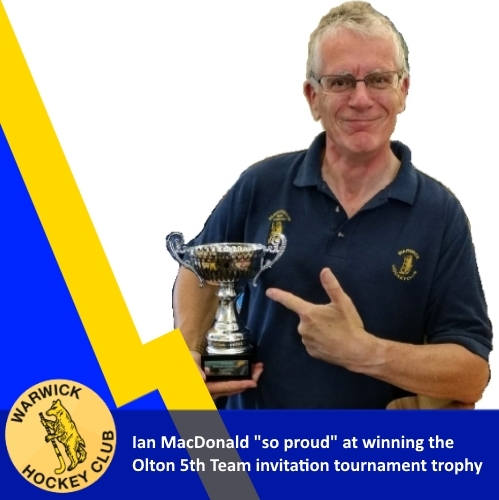 Captain Ian MacDonald writes "On Saturday 28 July Warwick Hockey Mens 5th Team took part in an invitational tournament at Olton Hockey Club. 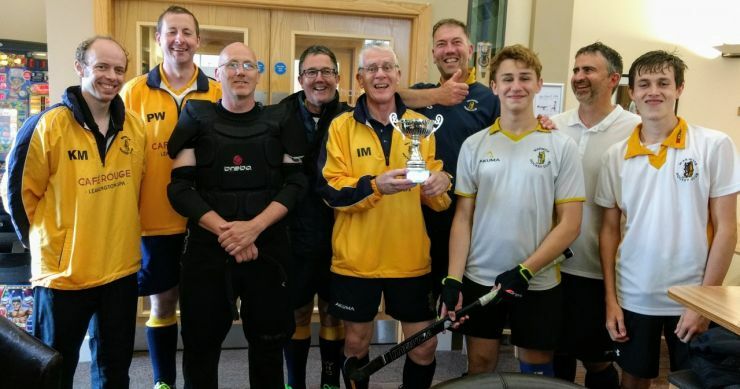 Four other clubs took part in the event namely Olton, Yardley, Old Sills, and Hampton putting in teams of players from the lower ranking teams in their clubs. Having only won one game in the whole of the last season we did not expect too much other than a day playing hockey, but what do you know we won the tournament winning 3 games and drawing 1. Above is a photo of most of the team - missing are Josh Davies, Tom Ward and Will Allen. Although the teams we played had potentially stronger squads we played better as a team than they did and so deservedly won the day. I can't single anyone out for particular praise as everyone played so well - a real team effort! And the only trophy we have won since as long as I can remember (and that's quite a long time!)." Great Job Ian, well deserved for all the fantastic committment leading the 5th team.